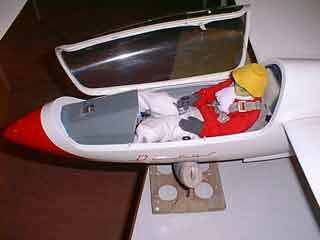 To my mind, a Scale Glider never looks complete unless there is someone in the cockpit. 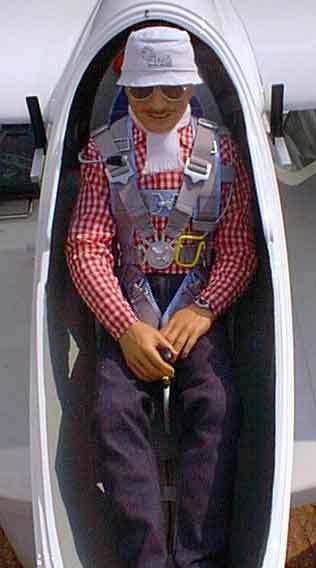 I know others may not agree and prefer the looks of a well made empty cockpit seat .I might even agree if the Glider was on the ground and static. 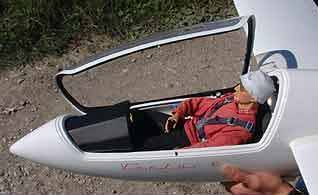 However, in the air, a Full Size glider needs human input , so why not a scale pilot in our models. 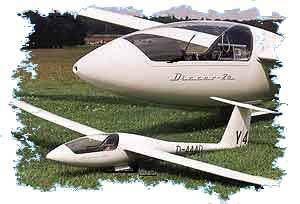 At least one of these will have a pilot when airborne. 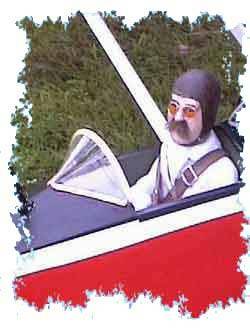 Pilots can be as cheap or as expensive as your funds will allow. Indeed it is like buying a car. You have to decide at what level your funds will allow. 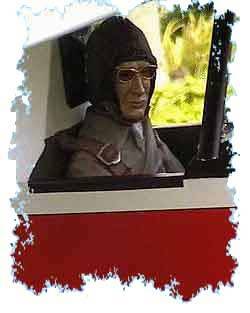 Do you really need a Rolls Royce of a pilot as made by Axel’s Scale Pilots with all the extra detailing available ( for well in excess of £130 or the cost of a new scratch built model) or are there other options available to us. But of course you do get exactly what you pay for!! The quality and detail seen on any of Axel’s products is quite the best to be seen anywhere. I mean you actually get genuine “Polaroid” sunglasses with 22:ct gold rims!! Plus a ticking “Breitling” watch!! Personally speaking if I can get away with somethoing cheaper and acceptable to me, then I will. I must have some Scottish blood coursing through my veins. But a personal plee though, PLEASE no fluffy animals or beany toys. Axel Pilot in his ASW-28 comes with all you see, but at a price. So what else is there available? If you are lucky, you maybe able to convince one of the female members of your family to knit a jumper. They might even find that they enjoy the challenge. Two Latex Pilots in my own quarter scale Slingsby T-31.